History tells us that essential oils have played an integral role in the medical field for the people of the past. Because of its numerous health benefits, these essential oils easily became the go-to solution for various ailments. Its natural fragrance made essential oils a favorite cosmetic product as well. From perfumes to skin lotions, it seems that these oils can do it all. But did you know that it was also the well-kept beauty secret of many women as well? Apart from smelling good and having supple skin, most essential oils have the capability to cure many skin problems. From healing skin redness and itchiness to getting rid of scars, various oils are proven to be quite effective in improving one’s skin conditions. But here’s what some people don’t know: some essential oils can also prevent premature aging! One might think that anti-aging is a product of science; that it takes advanced technology to create a solution to aging skin. But the truth is, nature is a very skilled doctor and she is capable of curing a lot of ailments just like modern day doctors. Besides, some of the most powerful anti-aging ingredients can be found in nature! The best part of it all is that it doesn’t cause any dangerous side effects and it is a lot more affordable than most chemical-based products. Before we get into which anti-aging essentials you should try, let’s first talk about the causes of premature aging. A lot of people like to blame it on their numerical age for the condition of their skin. After all, it seems to be a process everyone has to go through as they become older every year. But in reality, it is not a mandatory procedure – no one ever said that our skin needs to look old in order to prove our age! Most people today are careful about what they eat. More and more people are converting their diets to contain natural and organic produce. But what about cosmetic products? The skin is the largest organ of the body and yet many of us don’t exert enough effort to take care of it. Did you know that most cosmetic products contain very harmful chemical ingredients? Many of them actually contribute to skin aging. It’s high time that you start hunting down organic cosmetic products in your local area – your skin will thank you for it in the future. You’ve probably heard countless before that applying sunscreen is mandatory. True enough, it is important to take care of your skin against the harmful rays of the sun. UV rays don’t just cause skin cancer, they are also the culprit of skin aging. Opt for an organic sunscreen to protect and nourish your skin whenever you are out having fun under the sun. Many of us don’t realize this but dry skin usually marks the beginning of skin aging. Our skin, especially areas which are most sensitive, loses skin cells every single day. And in order for it to renew itself with new cells, it needs to stay hydrated. Most people think that their intensive skin routine is enough to keep their skin healthy. But as we’ve mentioned before, most chemical cosmetic products contain harmful ingredients. These ingredients can actually strip off your skin’s natural oils and in the end, you are still left with very dry skin. These dry patches of skin are then highly exposed to cancer-causing UV rays – it really is a cycle of skin-related problems. So if you are looking for effective anti-aging solutions, the first step is to keep your skin hydrated with natural cosmetic solutions. Studies show that emotional distress doesn’t just affect our physical health, it also affects the condition of our skin. Ever gotten an acne breakout due to stress and anxiety? It’s no surprise that it can affect our skin in other ways as well. One of them being skin aging. The good news is that essential oils help address all these causes. It is natural, it can protect your skin from the sun while keeping it moisturized as well, and it helps reduce stress and anxiety. We’ve talked about how essential oils can be used in more than one way. Before we get into the list of the best anti-aging essential oils, let’s discuss on how you can use it to combat skin aging. Below are some tips and ideas on how to incorporate essential oils into your daily life. Of course, you are not required to do everything on this list but it might be a great opportunity to try out something new. Although they may seem quite simple, they can still prove to be very effective cosmetic products. Utilizing a diffuser is perhaps the most common method of using essential oils. Diffusers are quite popular and can be easily found in any home and interior shop. These tabletop machines disperse essential oils so that the aroma fills the room with the oil’s natural fragrance. It is more often used as a mood enhancer. Now you might be thinking that directly applying the oil onto your skin is the most effective method. But we think that diffusers are equally successful in preventing skin aging. When a diffuser is used particles of the essential oils are released into the air. It is a lot more gentle than applying the oil topically. This is especially useful for people who have highly sensitive skin. Apart from being a gentle alternative, using a diffuser humidifies your surroundings. The moisture in the air can help keep your skin well hydrated. Besides, your room will smell really good as well! In the past, essential oils were also used as a natural perfume. Depending on the type of essential oil you have, inhaling it directly could also relieve stress. And we all know stress and anxiety can take a toll on our skin. Do keep in mind that some essential oils are stronger than the others so it is not recommended to inhale directly from the bottle of your essential oil. To avoid the strong scent of your chosen oil, one rule of thumb is to place a few drops into a handkerchief or on your wrists first. The subtle scent of the essential oil can provide you some relief from stress during the day. Some essential oils are quite beneficial especially if you apply them to your skin. This is probably the reason why using essential oils for massage is also a very popular method. Not only does it do wonders for your skin and helps relieve muscle pain, the aroma also makes you feel relaxed and calm. Almost all massage spas use essential oils for their clientele. If you are the type of person who loves soaking in the bath after a long day at work, you may want to add 2-3 drops of stress-relieving essential oil into the tub. Aside from the pleasing natural fragrances, the aroma also helps you truly unwind while in the bath. By diluting the essential oil into the water, your skin can also absorb its nurturing ingredients a lot better too. Plenty of cosmetic products in the market today actually contain essential oils, especially organic ones. Why not take it to the next level and create your own handmade cosmetics? Items such as soaps and lotions can be made and it is a great way for you to try out something new. Creating your own products may also inspire you to take extra care of your skin. And besides, creating handmade cosmetics also allows you to create something very personal. Choose your favorite scent and customize the product according to how you like it. The process of creating something and using your creativity can become quite therapeutic as well. As the name suggests, sandalwood oil has a warm, woody scent. It has a calming, gentle smell that’s popular for people who tend to stay away from floral aromas. Apart from its unique scent, sandalwood oil is also great for people with oily skin. So many people think that oil should not be used for oily skin. But actually, oils like sandalwood helps bring balance to the oil production of your skin without stripping it off of its natural oils. To top it all off, sandalwood also makes a great facial cleanser. Not only do you get to keep your skin hydrated, your pores can also be thoroughly cleaned. Ylang-ylang, or also known as Cananga odorata, is a plant that is native to the rainforests of Southeast Asian locations and the Pacific Islands. This exotic plant has a powerful but calming floral scent. It is best known for its antiseptic and antiseborrheic properties, which means that it can help clean skin wounds while also cure skin problems such as eczema. To use ylang-ylang, add a few drops of the essential oil into the bath. Argan oil has become very popular in recent years. Many beauty gurus swear by its moisturizing and hydrating properties. A lot of people use this for their hair and scalp but it is also perfect for topical use. It is rich in nutrients and antioxidants, and it also keeps your skin cells healthy and well hydrated. 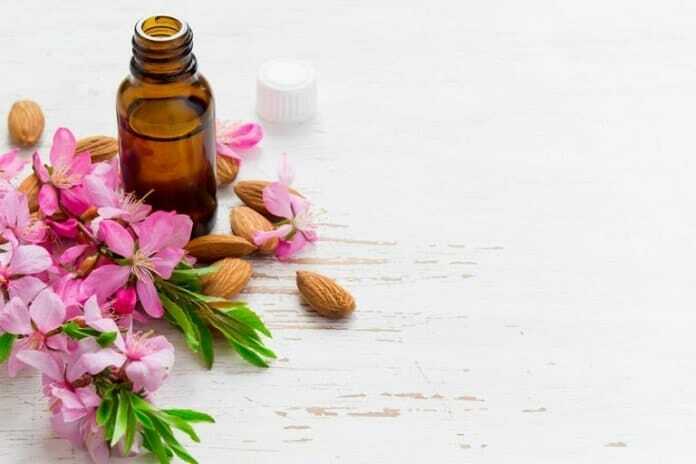 If you are looking to improve the elasticity of your skin, argan oil is said to be very effective in reducing fine lines and wrinkles as well. Just like argan oil, rosehip oil is also fun of vitamins and antioxidants. But what’s very interesting about rosehip oil is that it also has the capability to get rid of dark circles. Dark circles around our eyes definitely accentuate the appearance of aging skin. But unfortunately, it is also one of the most difficult issues to recover from. Aside from trying to get a good night’s sleep, try slathering a few drops of rosehip oil to reduce unsightly eye bags. Right from an early age, we were all taught to eat our carrots because it is full of vitamin A and beta-carotene. It is great for our eyes and it is packed with antioxidants. But did you know that it also has powerful skin rejuvenating properties too? Carrot seed oil is full of vitamin C and vitamin E – both of which are important for your skin’s overall health. This oil is also great for people who have oily skin as it can help bring balance back to your skin. To use carrot seed oil, try adding a few drops to your favorite cream or lotion. Jojoba oil might not be on everyone’s essential oil collection drawer but it is undoubtedly the best oil for anti-aging. If you dislike the oily and sticky feeling some oils have after applying it to your skin, this is the oil for you. Despite being less thicker than other oils, jojoba is very hydrating – it can cure dry patches and itchiness as well. This oil is known for its anti-inflammatory and emollient properties which also means that it is quite effective in getting rid of fine lines and wrinkles. Jojoba oil is best used when applied directly to the skin. You may have heard about grapeseed oil before. This is probably because it is often recommended to people who would like to reduce wrinkles and fine lines. Just like the oils in this list, grapeseed oil is full of vitamin C, E and packed with antioxidant. Derived from the seed of wine grapes, this oil is said to be packed with linoleic acid which is great for people who have oily or sensitive skin. Because of this, people who are often allergic to plenty of cosmetic products may find that they can tolerate grapeseed oil better. Most anti-aging solutions in the market today can be very expensive. What’s more is that some of them may also contain harmful chemical ingredients. If you are looking for a healthy yet effective solution, try these essential oils. There are various best anti-aging essential oils above that can address your own personal needs. Whether you have highly sensitive skin or very oily skin, you are bound to find an anti-aging essential oil that best fits you.